Epson XP-950 printers Service Manual New! This Epson XP-950 Service Manual describes basic functions, theory of electrical and mechanical operations, maintenance and repair procedures of the printer. MUCHAS GRACIAS AMIGO!!! LA VELOCIDAD Y LA CALIDAD DE TU TRABAJO ES IMPRESIONANTE TANKHS FOR EVERITHING!!! SEE YOU NEXT TIME!!! 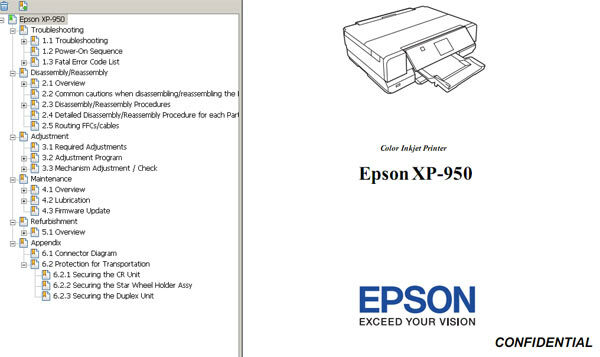 Notify me of updates to Epson XP-950 printers Service Manual New!